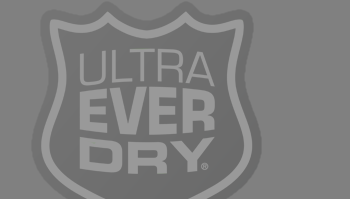 WHAT IS ULTRA EVER DRY? 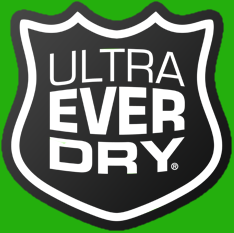 ULTRA EVER DRY is a superhydrophobic (water) and oleophobic (hydrocarbons) coating that will repel most water-based and some oil-based liquids. ULTRA EVER DRY uses proprietary omniphobic technology to coat an object and create a surface chemistry and texture with patterns of geometric shapes that have "peaks" or "high points". 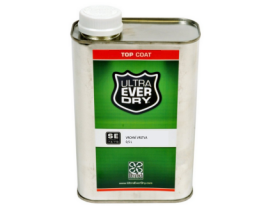 These high points repel water, some oils, wet concrete, and other liquids unlike any other coating. 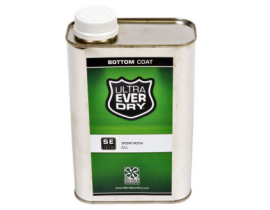 ULTRA EVER DRY has vastly improved adhesion and abrasion resistance, compared to previous superhydrophobic technologies, allowing it to be used in applications where greater durability is required. Must be used with TOP COAT (sold separately) in equal parts on the initial application for coating to work properly. Images are for illustration only. Must be used with BOTTOM COAT (sold separately) in equal parts on the initial application for coating to work properly. Images are for illustration only.